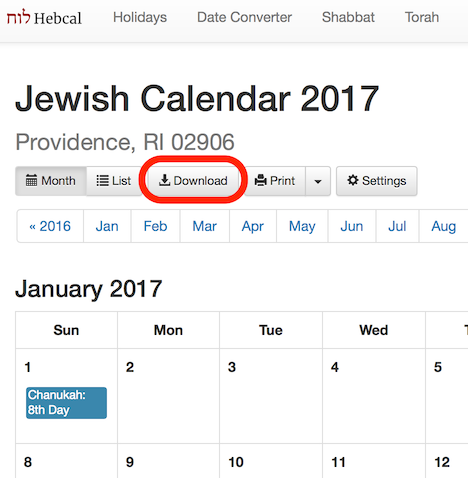 In the next dialog box, uncheck the “Remove Alerts” option if you wish to be notified of candle-lighting and Havdalah times. Use Location: iCloud if you wish to synchronize with other Apple devices such as iPhone or iPad. 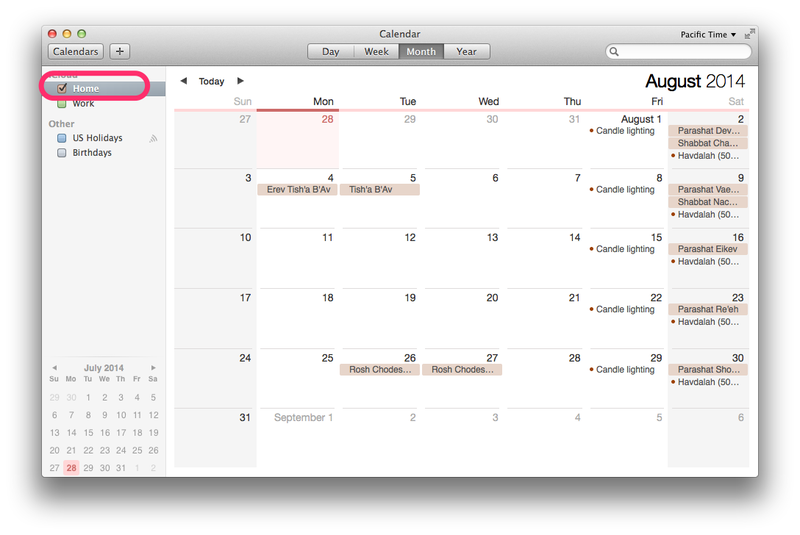 Use Location: On My Mac if you wish to have the calendar subscription only on your desktop. 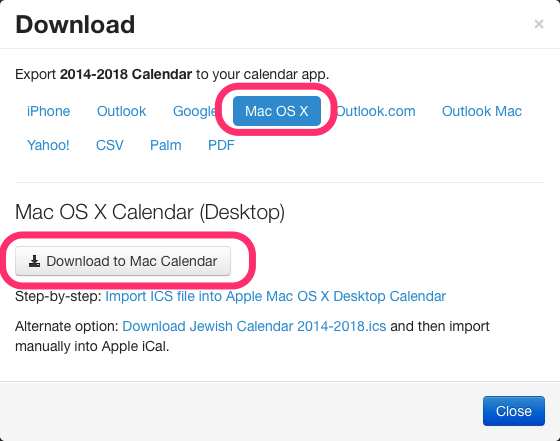 Follow these instructions if you no longer wish to subscribe to Hebcal in the native Calendar.app on macOS (formerly called iCal on Mac OS X). 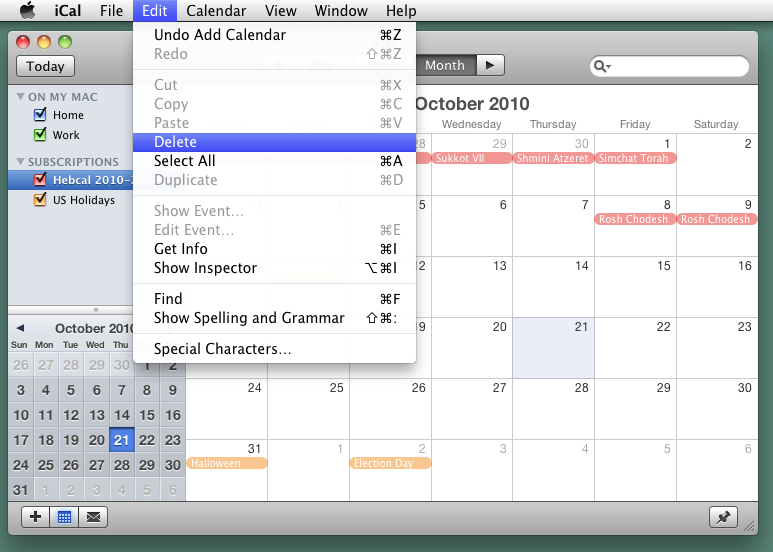 Deleting a calendar subscription is easy, and it removes the entire calendar and all the events it contains from your computer. 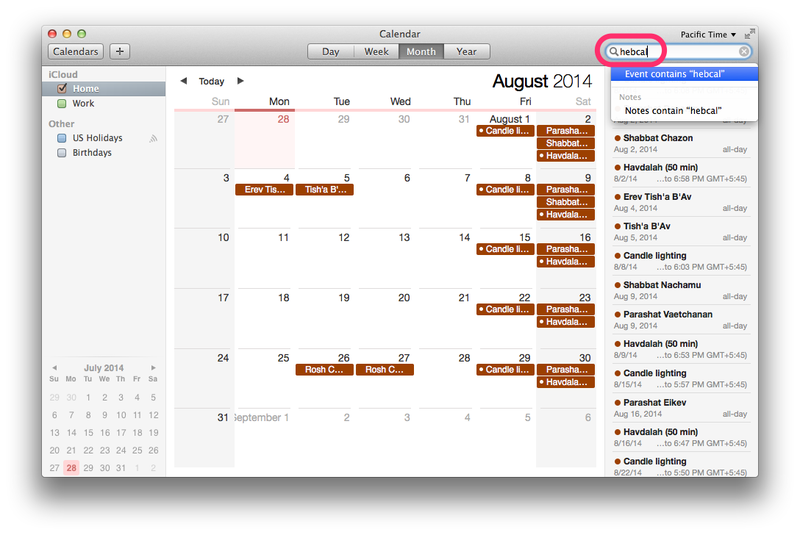 Select the Hebcal calendar you want to delete in the calendar list on the left side of Calendar.app. 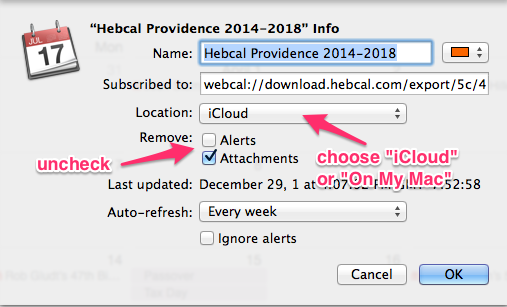 Follow these steps to remove Hebcal events from your macOS Desktop calendar or iCloud calendar and you didn’t use the Subscription feature. 1. 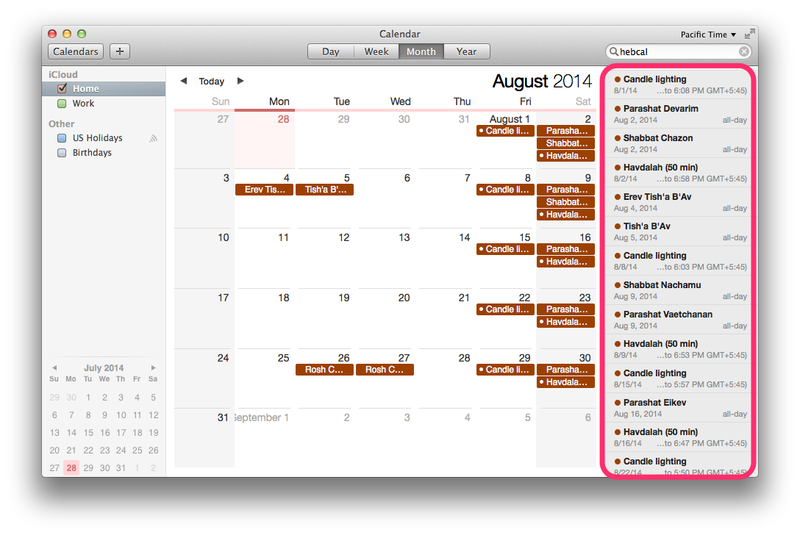 Open macOS Calendar.app, and uncheck all calendars except for the one that contains Hebcal events. 4. Press the Delete key, or use the Edit > Delete menu to remove the events. We’ve tested these instructions on Mac OS X 10.9 Mavericks and Mac OS X 10.10.2 Yosemite.